In the field of architecture and construction, a plan has to be made first before any structure can be made. Without it, the possibility of failure is big enough and can damage not just the contractors but the people who want the structure to be built. A pre-construction meeting must be done to smooth every detail of the upcoming construction. 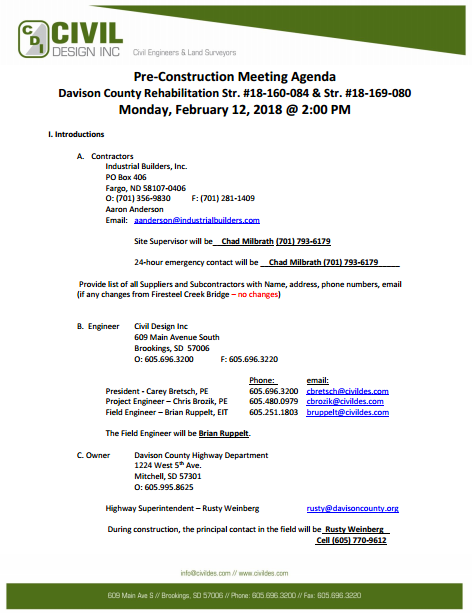 You may also see simple construction meeting agenda templates. A pre-construction meeting is a meeting that is done after the contract for construction has been signed. In this meeting, the blueprints are laid out and architects usually ask their clients on their suggestions and changes in the plan. Last minute corrections and product confirmations are done before the project gets started. 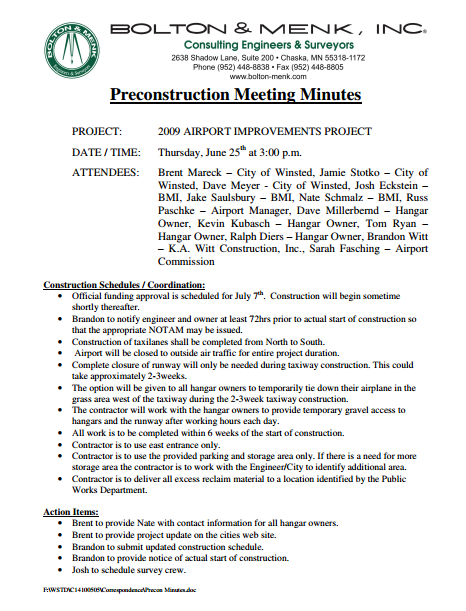 You may also see construction minutes templates. Include the names of the people present at the meeting. From the contractors to the property owners, and everyone who works on the project. Identify the company they are working in and their designations. 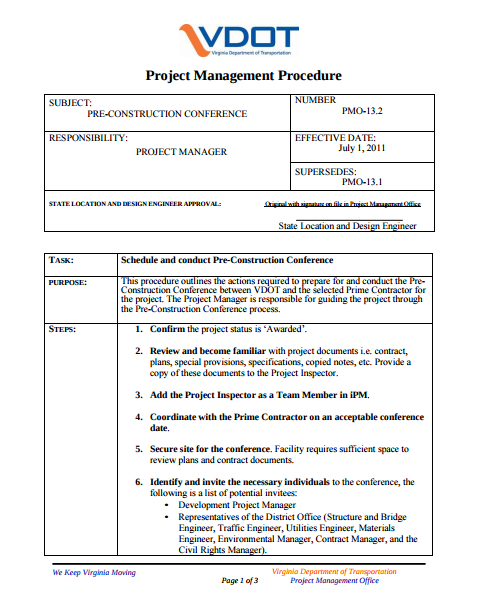 You may also see project meeting minutes. Write everything about the review of the construction contract if it has been prepared beforehand. There are areas in the contract that should be covered. You may also see meeting minutes templates. 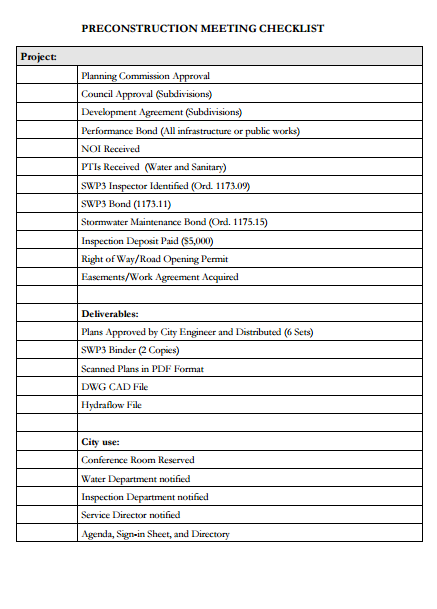 The construction schedule is discussed in the agenda and this should be recorded in full detail. The schedules have to be matched for everyone’s convenience so construction can begin right away. Before the actual construction starts, permits on the land where the property will be constructed have to be secured. It includes land permits, sanitation permits, and safety permits. Property owners and construction companies should coordinate with the local government in getting these documents. You may also see meeting writing templates. The construction sequence and methods are reviewed in the meeting. Some changes are bound to happen in both aspects. You just have to be ready for those. These are critical to the success and failure of a subject. You may also see meeting agenda templates. These safety issues are discussed in the meeting. Everyone should know about these issues and how it can be remedied. Everyone must also know about emergency exits and what to do when a mishap in the construction occurs. You may also see management meeting agenda templates. The area where the property will be constructed must be inspected first. 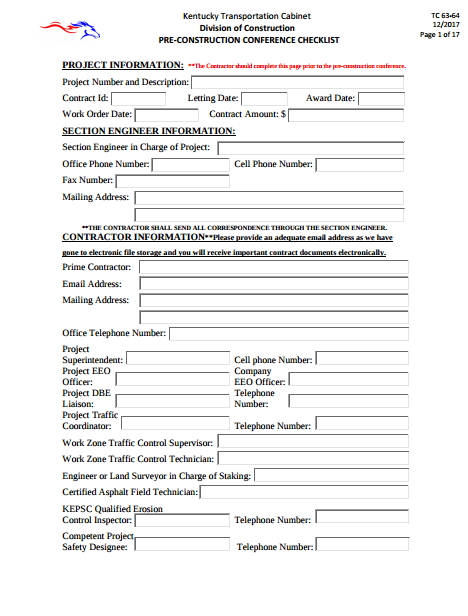 Coordinate with inspection officers as to when the inspection will be done. You may also see free meeting minute templates. There is only a certain area where the construction company can work on the property. It has to be measured and determined to know where you can only work on. You may also see best meeting minutes templates. Will the construction of the property cause traffic? This is something that you have to consider in the meeting. Discuss who will be responsible for the potential traffic control and how it would affect the workflow and traffic flow as a whole. You may also see sample minutes. Equipment has to be stored temporarily in a safe area. Identify a spot where equipment and other materials for construction can be stored for the time being. It should be guarded against ever-changing weather conditions. 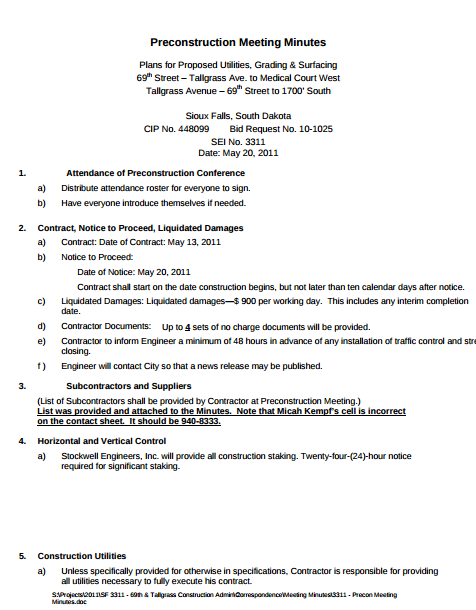 You may also see construction minutes templates. Add some final notes before wrapping up the meeting. There are some details that you might have missed. Many key areas are covered in pre-construction meetings. Responsibilities have to be defined and divided among the members of the meeting. Someone has to be in charge of getting the construction materials, some are tasked to work on the site, while others are tasked on tailoring the initial floor plan to the preferences of the property owner. 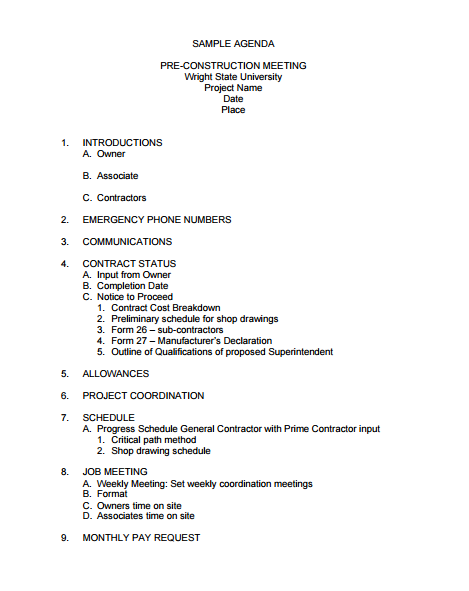 You may also see meeting outline templates. Pre-construction meetings are also used to define problem-solving procedures. Issues always arise while working on the project. You should be prepared on how to deal with these issues and problems. Agree on a certain problem-solving measure that you can use when an issue arises. You may also see meeting minutes templates. You also have to conduct weekly meetings to make sure the quality of your work is still being upheld. 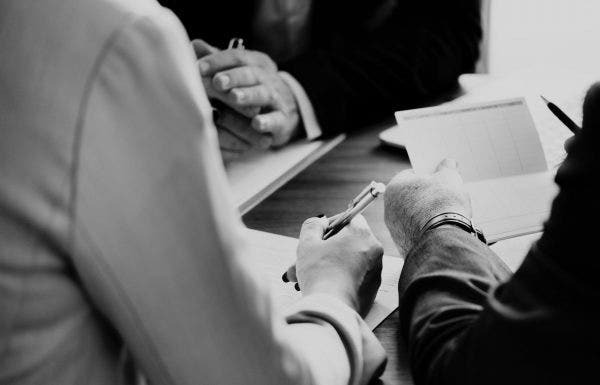 In the meetings, tackle the issues and how you are going to address them firsthand. Take note of the recent development in the construction and find out what can be improved. Meetings are also done when the construction is broken into phases. For a smoother transition, there has to be a meeting before each phase is started. You may also see formal meeting agenda templates. Pre-construction meetings also build up expectations on the part of the homeowners. They are being contacted to make some decisions from time to time, but it is up to the construction company on how work will be done. You may also see meeting summary templates. With a pre-construction meeting, the team is oriented about the client. That includes the client’s name, age, profession, financial status, and preferences in the property that he wants to be built. The team would know what they can do with the client’s preferences. Some will be fulfilled while some are not. The client should also understand this part of the meeting. There are some things that could be and could not be done in the construction process. 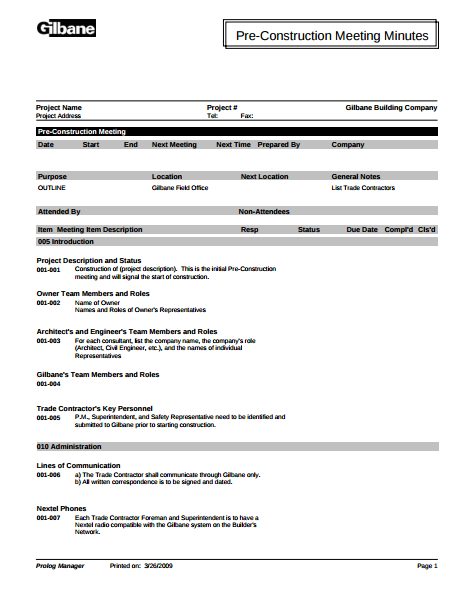 You may also see sample meeting report templates. Every project needs a starting point. With this meeting, everyone would know where to start and how to move forward. From there, the construction process will unfold naturally just like how it should be. You may also see business meeting agenda templates. The first pre-construction meeting will enable the team to set a goal for the construction process. It also makes them think of ways on how to achieve the goal and deliver the best quality of work ever. With goal setting, the team will do everything they can to achieve it no matter what it takes. They just have to make sure to do and deliver everything on time by coming up with the best methods possible. You may also see tips for meeting minutes. The team surely has questions about the project. This is discussed in the pre-construction meeting. The discussion would eventually lead to their questions being answered in the meeting and have an idea on what to do before work starts. You may also see safety meeting minutes. The documents that they will get depends on the kind of property the client wants to build. If it is a commercial property, they will secure permits from the local government. The same goes for residential properties, but other documents related to home shall be secured. You may also see meeting note templates. The pre-construction meeting brings in the smartest people in the construction industry to work on a project. These people have so much in their credentials and can give the best quality of their work to the client. You may also see meeting outline samples. The pre-construction meeting serves as the planning process on how the construction will be done. This is a very systematic process that needs expertise, guidance and lots of knowledge and creativity so it can be fulfilled. There is more to come when it comes to the phases of the construction industry. Its minutes should be written well and full of detail. 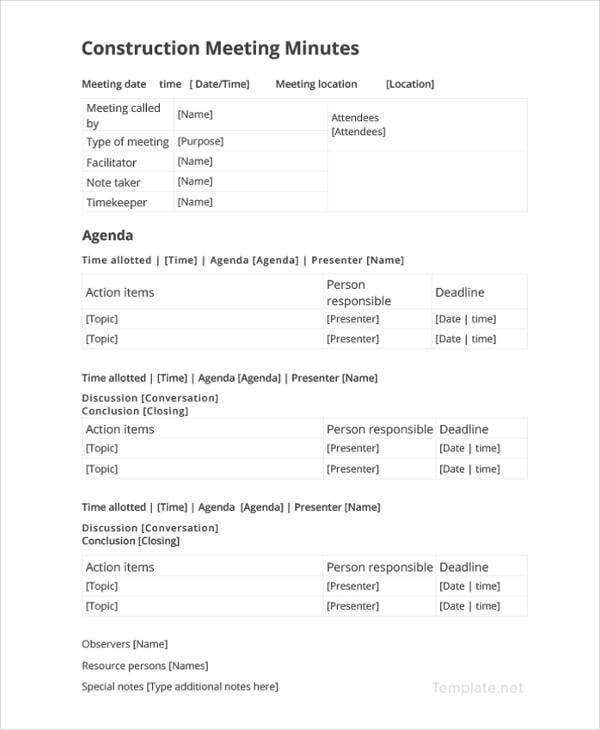 You may also see blank meeting agenda templates.